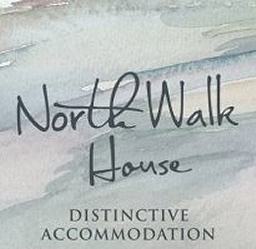 We would like to welcome you to North Walk House, a small and distinctive country house offering boutique hotel style or self catering accommodation in a cliff-side residence built in 1856. 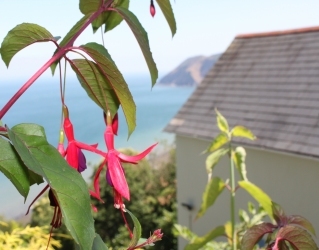 We are situated on the North Devon Coastal Path. This is a perfect place to stay for a holiday or short break. 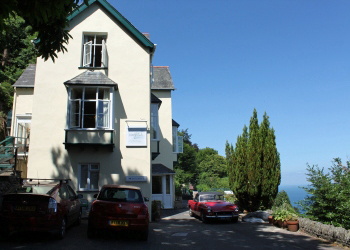 The location is simply stunning, with wonderful views, in a quiet no-through road, only interrupted by sounds of the sea. Our guest accommodation offers bed and breakfast and the choice of dinner. 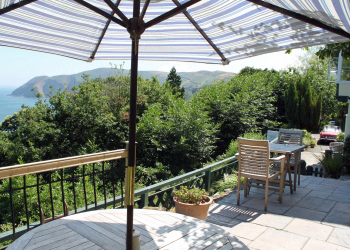 The sitting room or terrace are wonderful places to relax when you do not want to be in your own room or off exploring.